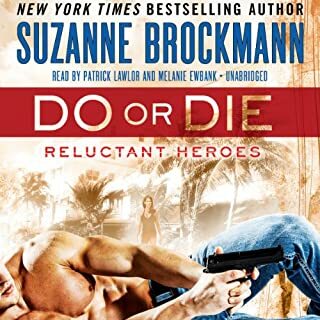 New York Times best-selling author Suzanne Brockmann, whom USA Today calls “the reigning queen of military suspense”, breaks out a rapid-fire collection of pulse-pounding, heart-tugging stories and novellas featuring the intrepid men and women of Troubleshooters Inc., fiction’s hottest ultimate counterterrorism squad. 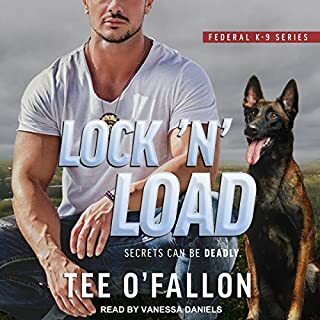 Tough-as-nails Troubleshooters operative Sam Starrett learns the agony of loving someone in danger - and the hell of waiting on the home front - as his wife, Alyssa, hurtles into a foreign hot spot that’s about to boil over. Navy SEAL Frank O’Leary’s ill-fated holiday reunion with his older brother takes a turn for the better - when a chance encounter on a rainy New Orleans street gives Frank a reason to be thankful after all. In a maze of tunnels deep beneath a military base in Germany, Jules Cassidy, Alyssa Locke, and their comrades in arms match wits with terrorists on a mission with explosive consequences. 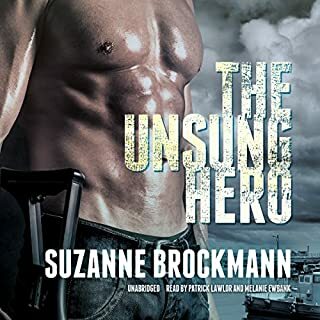 Plus more never-before-released adventures featuring Jenk, Izzy, Gillman, Lopez, Kenny, Savannah, and other members of SEAL Team 16 - along with Suzanne Brockmann’s exclusive interviews with her beloved characters. Looking for the best kind of trouble? You’ve found it! 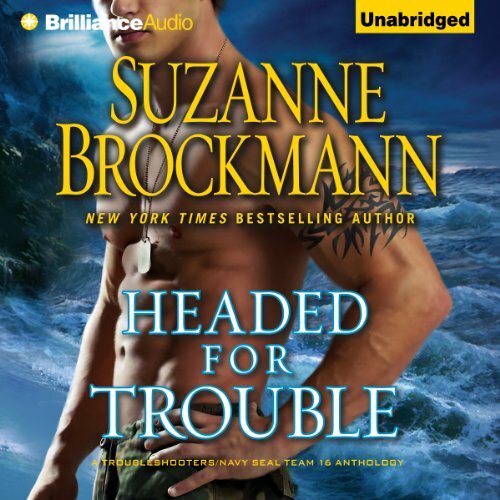 ©2013 Suzanne Brockmann (P)2013 Brilliance Audio, Inc.
What made the experience of listening to Headed for Trouble the most enjoyable? The short stories with Sam, Alyssa, Jules. I also appreciated the book being bookmarked so that I could skip to the short stories I care about the most. 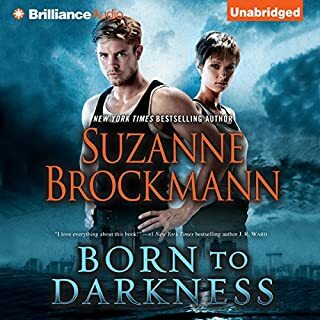 Would you be willing to try another book from Suzanne Brockmann? Why or why not? Yes. I have really enjoyed the characters of this series and will read more if they come out. Her juggling multiple POVs in her books could be a bit much for some people. Having a female and male reader to narrator the famale/male character POVs help to keep track of the story in audio. Have you listened to any of Patrick Lawlor and Melanie Ewbank ’s other performances before? How does this one compare? I have enjoyed their performances in past Troubleshooter books and their performance in this collection is no exception. - I didn't listen to this story. - This is Ms. Brockmann's thoughts on writing this short story about a character was dropped from the series during book 3. - I love Sam and Alyssa so while Alyssa is mostly off-screen I enjoyed this story. Sam gets bad news about a mission Alyssa is on while he's at home with his daughter. The other wives of SEAL Team 16 show up to provide support. - Again, Sam is the main character with Jules coming in to have his back. It's a fun little short story. - Fun little story about when the guys get to know Tony. - Not a big fan of the interview style bits in this anthology. This was just OK for me. - First short I listened to with some real action taking place. Was nice to see other members of the group in on this op. I love Sam, Alyssa and Jules. It was also the first story with some length to it. - Main characters for this short were secondary (non-Troubleshooter) characters introduced in All Through The Night (book 12). I thought the premise of the plot was a bit thin but it was OK.
- This was my favorite short story in this collection. I loved seeing Sam and Robin working together in this short story. - I wish there had been more/longer real short stories instead of some of these entries. We can find this on the author's website. - I appreciate the sentiments in this commentary but, again, would have preferred more/longer short stories. - This is a prequel to her Fighting Destiny series. I did read book 1 (Born to Darkness) and found it interesting so I liked this story. I can understand its inclusion in this collection since this takes place when Shane is a Navy SEAL (in the dystopian future) and it's one of the few short stories with some action going on. - A mostly straight forward glossary of terms. - A brief summary of the books and short stories that are part of the Troubleshooters series. Appreciate the inclusion in an e-book but these last 2 entries of the audio take over 30 minutes and while the narrators can make it interesting, not something I'd re-visit. While there was a lot of extra stuff in this collection that I could have done without, the short stories I enjoyed were worth the price of admission for me. I love this series... when I saw this audiobook I bought it immediately!! I still would have bought it even if I had read the reviews because I strongly believe in making my own judgment calls....but, they were right. I made it through 2 1/2 hours w/ 7+ to go, but it's just too unbearable. These stories were just too short to really add anything to the storyline. Plus, unless you are a major fan & have read every single book in this series you simply won't get it. And I have read & listened to every book, some of them numerous times and though I know the characters, this book doesn't go anywhere. I love this author & the narrators, but you can easily skip this one. On the other hand, this audiobook is very cheap, so it would be worth it. Even though this particular audiobook is not my cup of tea, I don't regret getting it. I just wish I knew that it was a compilation of lots & lots of short stories and these blurbs that are more like a stream of thoughts put onto paper. I really tried to like this book. I couldn't. I love the Troubleshooters and SEAL team 16, I didn't love this book at all. Most had been published previously and the rest shouldn't have been published at all. To much moralizing and not enough story. Sounds like the same couple of paragraphs were repeated in every story. So what Jules and Robin are gay, get over it. So Sam loves and respects his wife, get over that too, I get the impression Sam spends most of his time walking on glass around Alyssa, fawning over her and afraid to be himself. So Jules spends his time rescuing his friends, someone's in trouble, call Jules. Seems like no one can help themselves and Jules spends his time driving back and forth to the airport. Come on SB, drop the moralizing and write some real stories. 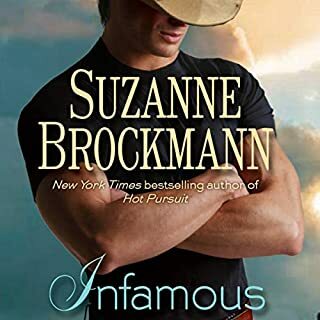 I love Suzanne Brockmann, I love Troubleshooters and the Seals, I loved the idea of a bunch of short stories to fill in the characters, but I did NOT love this. 1. Hated the commentary in between the stories. Sure, she's political but politics built into a story are one thing, straight political commentary (which is what this felt like) is another. For that, I'll just turn on the talking heads on tv. 2. I escape into the books. I escape with the characters. I hated the short stories in which the characters I've grown to love not only have a conversation wtih the author, but know they are characters and are concerned about their story lines. I don't read or watch "behind the scenes" books and programs for the same reason. *I* know they are characters but I don't want THEM to realize and worry about what happens in the next book. It ruins the escape for me. I'll stick with Brockmann, but I will definitely stay far, far away from short story compilations from now on! Lots of memories from Troubleshooters. Lots of short stories ranging from 15 mins to 3 hrs, I will round them out time wise for each story. This has some good stories in it, but you don't need to read it. Don't read if you haven't read the Troubleshooter series. Here's a list of what is in the book. I skipped interviews and Intro, because I never like to listen to that stuff. •	Intro from Author. 5 mins. Skipped. •	When Frank met Rosie. 40 mins. Cute story but sad because we know that Frank dies. •	Author's note on When Frank met Rosie. 7 mins. Gives statistics and explains previous story. •	Waiting. 35 mins. Sam angst about Alyssa in the field. •	Sam Takes an Assignment in Italy. 32 mins. Funny story. •	When Jenk, Izzy, Gilman, and Lopez Met Tony Vlachic. 26 mins. Boys at the poker table. •	Suz's Interview with Tom and Kelly. 8 mins. Skipped. •	Trapped. 1 hr. 2 mins. More action, good story. •	Conversation w/ Navy SEALs Mark "Jenk" Jenkins, Dan Gillman, Jay Lopez, & Irving "Izzy" Zanella. 6.5 mins. Skipped. •	Suz's Interview with Kenny and Savannah. 8 mins. Skipped. •	Home Is Where the Heart Is (Part I & II). 2 hrs. 53 mins. Okay story. It was about Will sister and best friend. •	A SEAL and Three Babies. 1 hr. 30 mins. Funny especially since I had been there done that. I feel for Sam on this one. Best story. •	FAQ Interview with Suz. 18 mins. Skipped. •	Shane's Last Stand. 1 hr. 2 mins. New series, prequel to Born of Darkness, which I haven't started yet, because I was waiting until she wrote more first. Not sure about how I will like the series or not. •	Glossary of Troubleshooters Terms. 19 mins. Skipped. •	Troubleshooters Series Timeline. 14 mins. A nice flashback to all the books. What disappointed you about Headed for Trouble? It was just a bunch of repeats and what the author likes about her characters. 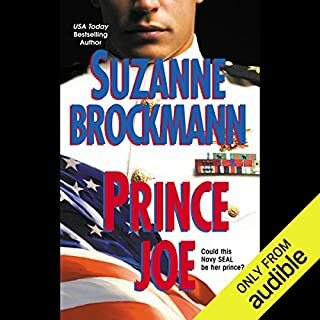 I would love for it to be another Suzanne Brockman military, romance, action packed, 5-star book. I truly love her writing. What does Patrick Lawlor and Melanie Ewbank bring to the story that you wouldn’t experience if you just read the book? Patrick Lawlor is soooo good at putting the exact spin on his voice to match the emotion of the character. Truly his reading skill fascinates me. Melanie brings life and emotion to her characters and is consistent with maintaining the correct voice. If you could play editor, what scene or scenes would you have cut from Headed for Trouble? The entire "book". This should have been just a YouTube interview. As I said, I LOVE Suzanne Brockman's writing. Had been waiting a long time for another book in her Troubleshooters series, or maybe even a book to start an entire new series. I feel her fans, her very loyal readers, were duped into thinking this was a continuation of the series. I can't believe her precious writing time was wasted on this. A compilation of stories, maybe an interview, set in the world of Troubleshooters. Frank is referenced a few times, primarily in Over the Edge. This takes place after Gone too Far, before Flashpoint. Sam has 3-1/2 year old Hailey visiting while Alyssa is OCONUS escorting a Diplomat on a peacekeeping mission. When one of the helicopters is shot down, Sam gets support from the Seal wives. After Breaking Point and before Into the Storm. Sam tries to ride herd at a corporate honcho’s wedding from hell, which has already dragged into 3 weeks. His begging for Alyssa to rescue him has her sending Jules to the rescue. At this time, Jules was still dating Ben. The guys share stories while playing cards. I love Jenks’ story with the three Drag Queens. Takes place before Force of Nature. The women of TI run a Red Cell to prove a security assessment for a military base in Germany, when they run into the terrorists they warned against. A gunfight leaves Alyssa and Jules trapped underground with a bomb. The men of TI have to come to the rescue. Story #8: Conversation with Jenk, Gilman, Lopez and Zanella. Takes place after Into the Storm. Takes place shortly after Into the Storm. After All Through the Night. Features Arlene Schraeder, sister of journalist Will, love interest of Dolphina, assistant to Robin Chadwick. This takes place after Hot Pursuit, when Max, Alyssa and Jules have to go overseas prior to a Presidential trip. Robin, Sam, and Gina bring the kids to vacation in a nearby country, but get stranded on the way with flu, in the middle of a political coup. Lawlor and Ewbank do a decent job of narration. So neat to hear the author interact and engage with her characters and follow her thought processes. I love This writer. She is by far my favorite. However I did not enjoy a book full of short stories. Or conversations with the characters from the authors point of view. I also don't want to hear the authors voice as it ruins the image of the character I have in my head.